Sonam Kapoor’s PDA With Anand Ahuja Is Too Cute To Handle! Bollywood actor and fashion icon, Sonam Kapoor has always kept her personal life under wraps but now it seems different. 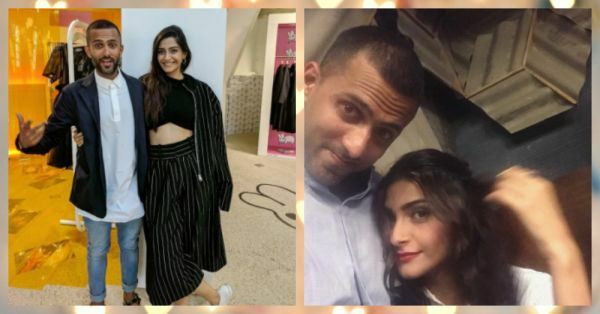 From dinner dates to vacations, Sonam Kapoor is often seen hanging around with her rumored beau, Anand Ahuja and their Instagram PDA is too cute to ignore. Whatever their relationship status might be, enjoy some of the best moments from their Instagram, here! 1. When they looked SO happy! 3. Their everyday selfies are so cute! 4. When he seemed to miss her! 5. When they happily got clicked under the blue sky!